Happy Monday! 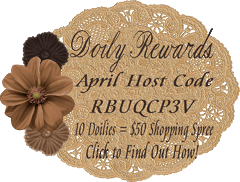 Today, I'm starting another theme week. I'll be doing a different theme every week this month, and this week is Halloween Theme Week. 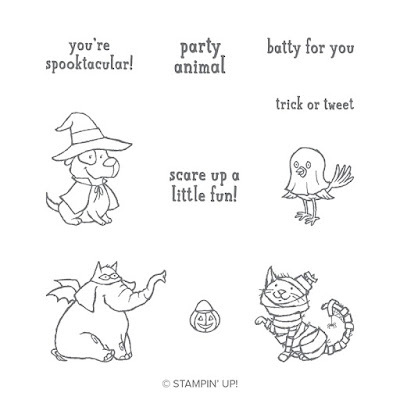 To start the week off, I used the cute Halloween stamp set from the Stampin' Up!® Holiday Catalog, Trick or Tweet. All of the images in this stamp set are cute, and this little doggie is no exception! I colored him in, along with his little pumpkin treat basket, with Stampin' Blends. 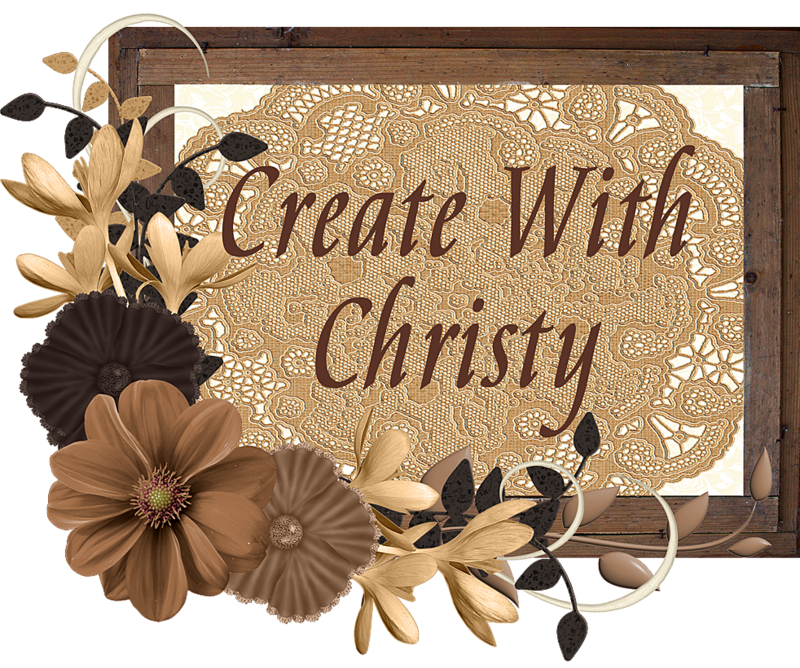 The banner was made with paper from the Toil & Trouble Designer Series Paper (DSP) from the Holiday Catalog. 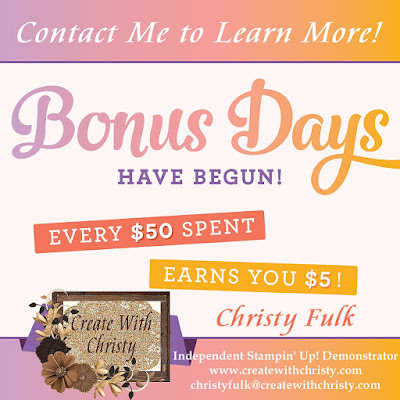 The Basic Black layer was embossed with the Woodland Textured Impressions Embossing Folder from the Stampin' Up! Annual Catalog. How about that ribbon? I love it! It's called Black 3/8" Glittered Organdy Ribbon, and it's also from the Holiday Catalog. Black 3/8" Glittered Organdy Ribbon: 6" and 4"
Emboss the Basic Black piece by running it through the Big Shot with the Woodland Textured Impressions Embossing Folder. Attach the piece to the right side of the Pumpkin Pie piece (see picture). Insert the bottom end of the DSP piece all the way into the Banner Triple Punch, using the middle guide, and punch. Attach it to the left side of the Pumpkin Pie piece, overlapping the Basic Black piece a bit. 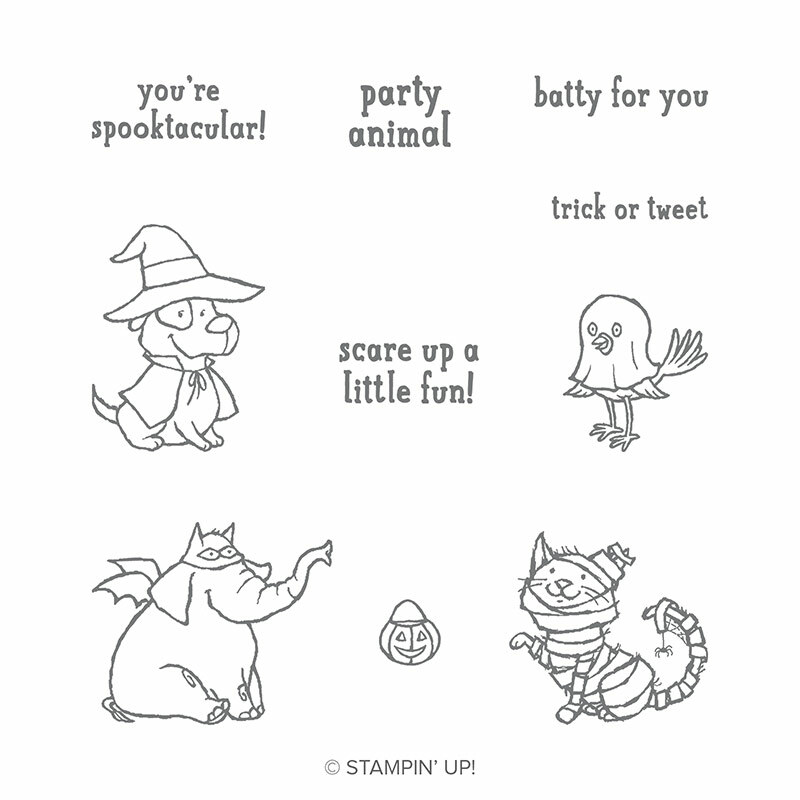 Stamp the "you're spooktacular!" 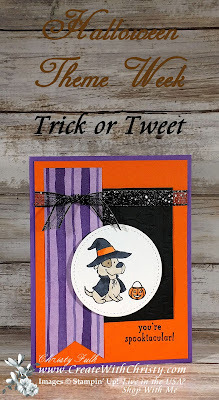 stamp from the Trick or Tweet Stamp Set under the right side of the Basic Black embossed piece using the Tuxedo Black Memento Pad. Wrap the 6" piece of ribbon around the top of the Pumpkin Pie piece, and attach the ribbon ends to the back of the piece. Fold the Gorgeous Grape piece in half (fold on the left) to form the card base. Attach the Pumpkin Pie piece to the center of the card front. 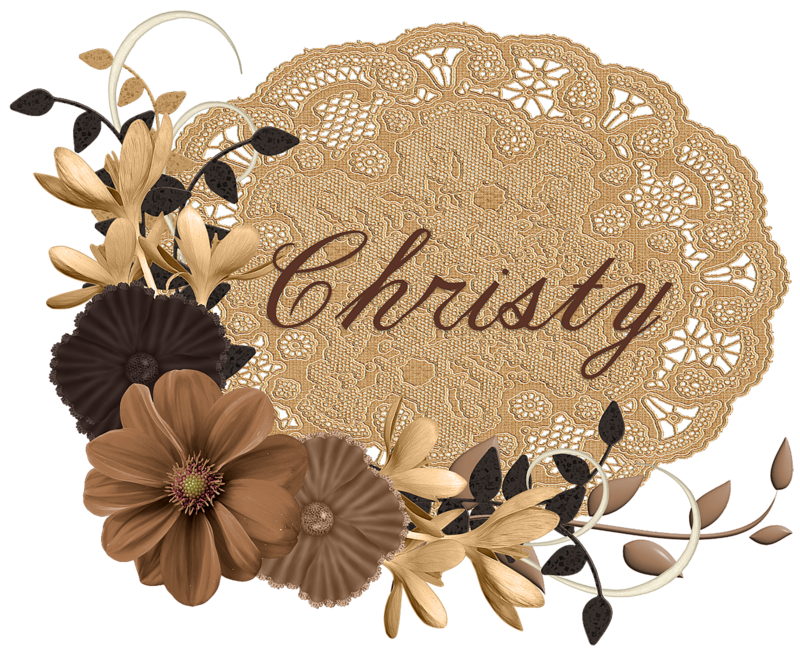 Tie the 4" piece of ribbon to the left side of the attached ribbon, using a single knot. Trim the ribbon ends at an angle. 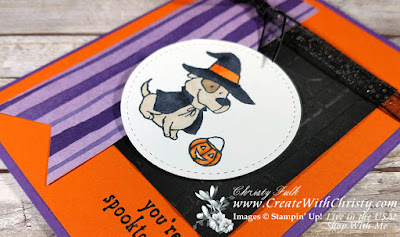 Stamp the dog and pumpkin basket stamps onto the Whisper White piece using the Memento Pad. Color the witch hat, cape, and nose with the Basic Black Stampin' Blends Combo Pack. 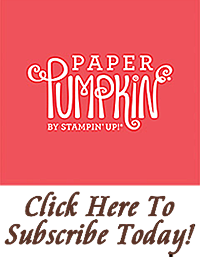 Color the hat band and the pumpkin basket with the Pumpkin Pie Stampin' Blends Combo Pack. 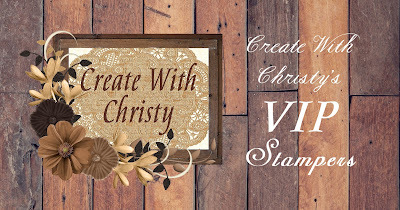 Color the dog's body with the Crumb Cake Stampin' Blends Combo Pack (see picture). Die-cut them out with the second, largest circle die from the Stitched Shapes Framelits Dies. Attach the circle to the center of the card using Stampin' Dimensionals (see picture). 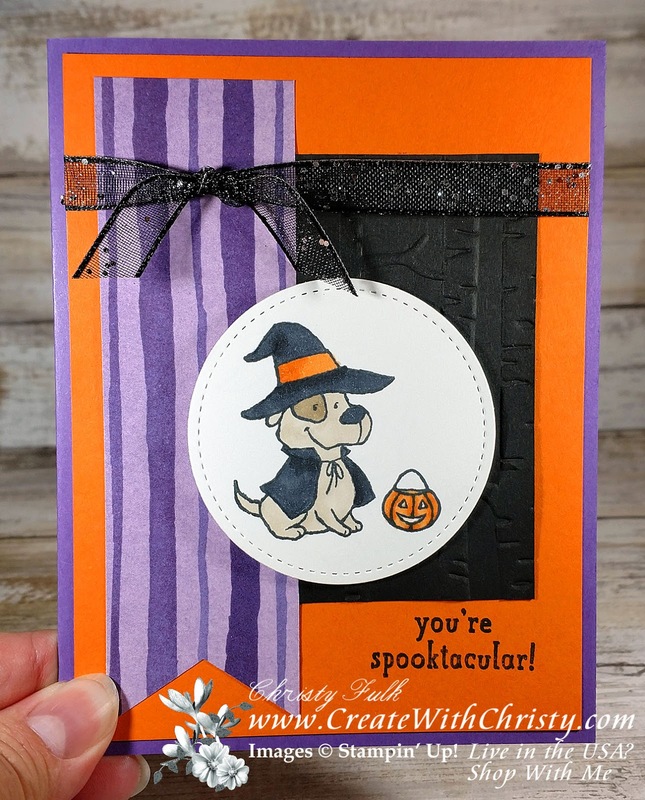 *The Gorgeous Grape, Pumpkin Pie, and Basic Black cardstock comes from the Toil & Trouble Cardstock Pack.